How did we increase hyper-local awareness of an award-winning wine from a world away? Villa Maria, with a reputation as “New Zealand’s Most Awarded Winery”, has a long and respected history of making quality wines for the domestic and international market. Passion for winemaking, the personalities behind the brand, and core values of innovation, sustainability and family are central to the story that Jive championed through strategic social media support, focused on Canadian follower acquisition and greater brand awareness and consideration in key regions. Targeted social media ads on Facebook and Instagram yielded a CPM of $0.05 - $0.06 and combined impressions of over 1.6M, reach of over 700,000 and 180,000 engagements. Product drops delivered to a select list of social ambassadors resulted in 80% pickup and organic social sharing on Instagram and Instagram stories with an estimated reach of 250,000+, driving awareness and consideration of the brand in key target audiences. Guests at the activation event reported that it was their favourite event of the year! It received an outpouring of organic, unpaid social sharing and generated dozens of social posts that reached audiences directly relevant to the brand's objective. Jive focused on a four-point approach focusing on social media advertising, an influencer activation event, produced drops designed to encourage social sharing by brand ambassadors, and sponsored influencer lifestyle posts. 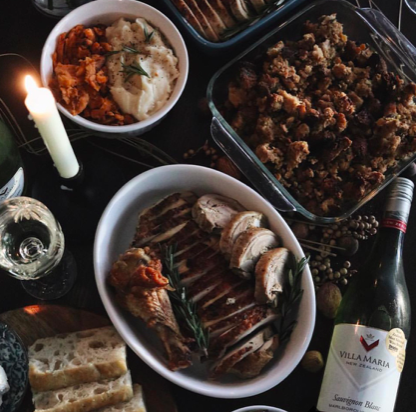 Facebook and Instagram social ads were focused on building brand awareness and driving sales of Villa Maria Wines in Canada – Specifically B.C., Alberta, Ontario, and Québec. Using anticipation building language, ads inspired engagement, page likes, and awareness from the targeted community. Curated product drops featuring the brand's well-known Sauvignon Blanc and a selection of local BC-made artisanal goods were delivered to select social media ambassadors. Drops allow Villa Maria to put their award-winning wine directly into the hands of unpaid ambassadors and brand advocates. In addition to being a low-cost and in-kind way to earn coverage, this tactic allowed Jive to deepen relationships with key ambassadors who were receptive to the brand. Jive brought a group of Vancouver-based social media influencers together for an immersive cooking class with wine pairings from Villa Maria and ample opportunities to connect and share socially. The event received universal coverage by attendees, high visibility on Instagram and continued to influence social sharing through guests after the event. Jive leveraged a sponsored social host as well as an Instagram takeover that directed attention to the activation. It also created opportunities to connect with influencers who went on to produce separate, sponsored posts for the brand afterwards. Check out more about the Villa Maria brand and story!